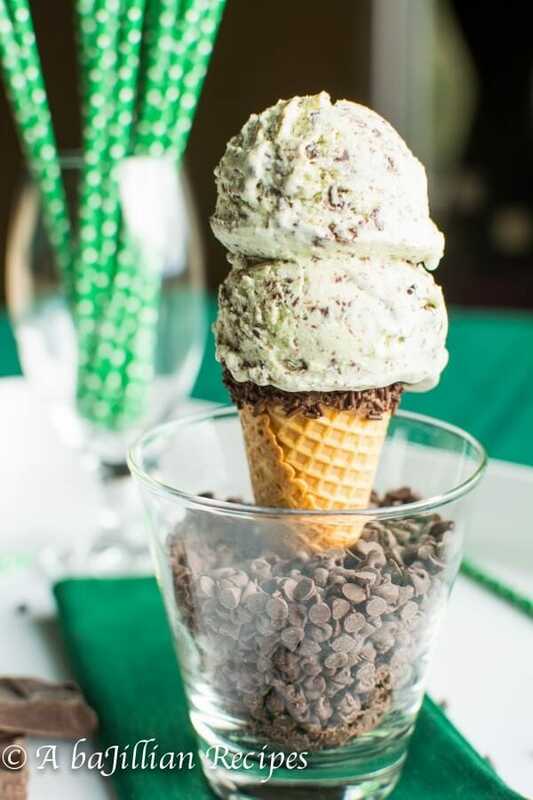 Refreshingly sweet and creamy ice cream, freckled with delicate flakes of chocolate. 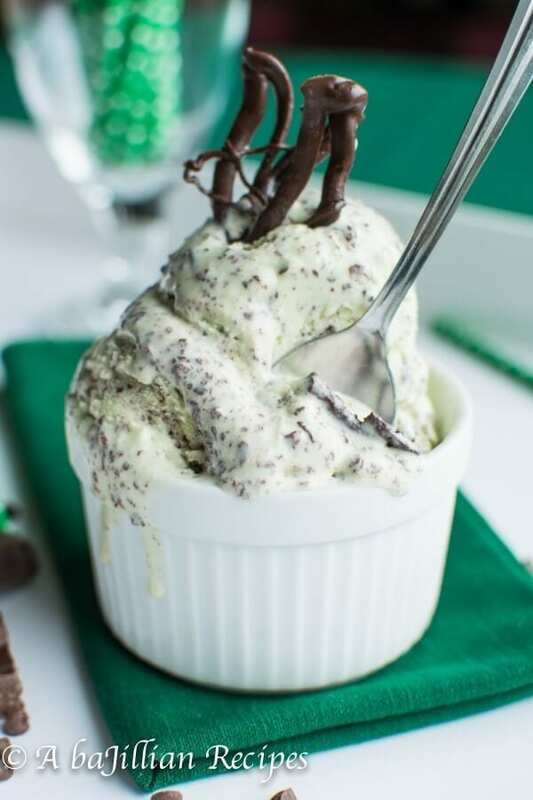 Mint chocolate stracciatella ice cream is so much more than ordinary mint chocolate chip ice cream, thanks to a special technique! Hey! 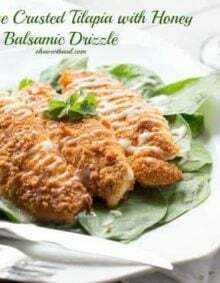 Jillian from A baJillian Recipes here and I’m back to share my newest drool-worthy creation with all of you! So what on Earth is “Stracciatella”? The magic happens when the chocolate is added to the ice cream. 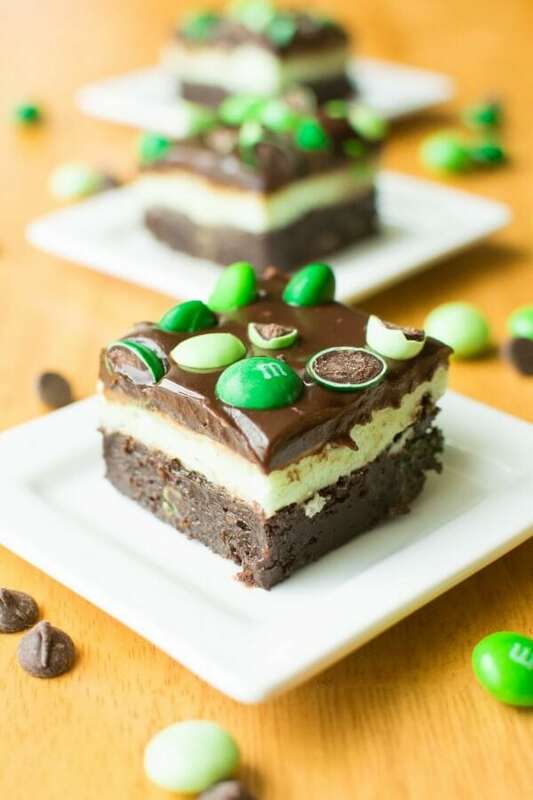 Instead of simply chopping up a solid bar of chocolate and stirring it in, the chocolate is melted (with a little vegetable oil), then drizzled into the ice cream during the last few minutes of churning. Trust me, it’s not as difficult as it might sound. 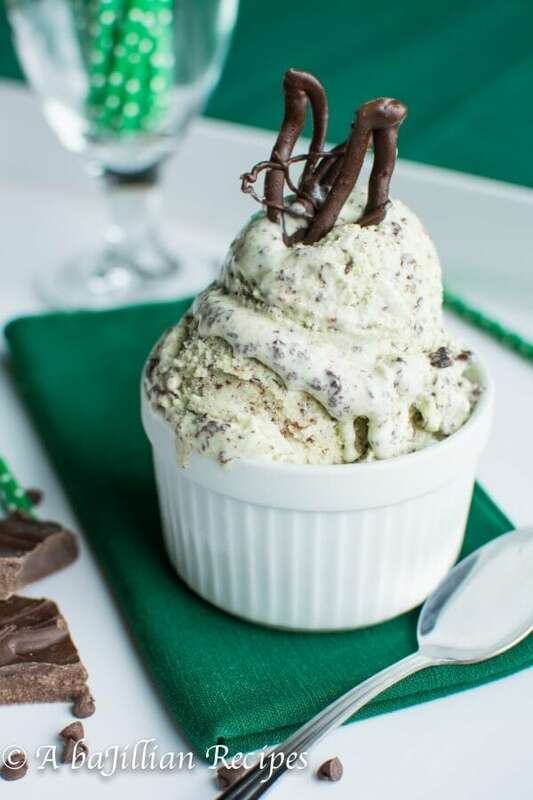 As the chocolate is added, the chill from the ice cream immediately solidifies the chocolate, creating a more even distribution of chocolate that’s NOT chunky, nor hard and chalky. 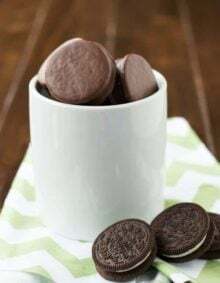 The result is fine shards or flakes of chocolate that have more of a smooth, delicately crunchy texture that literally dissolves on your tongue. 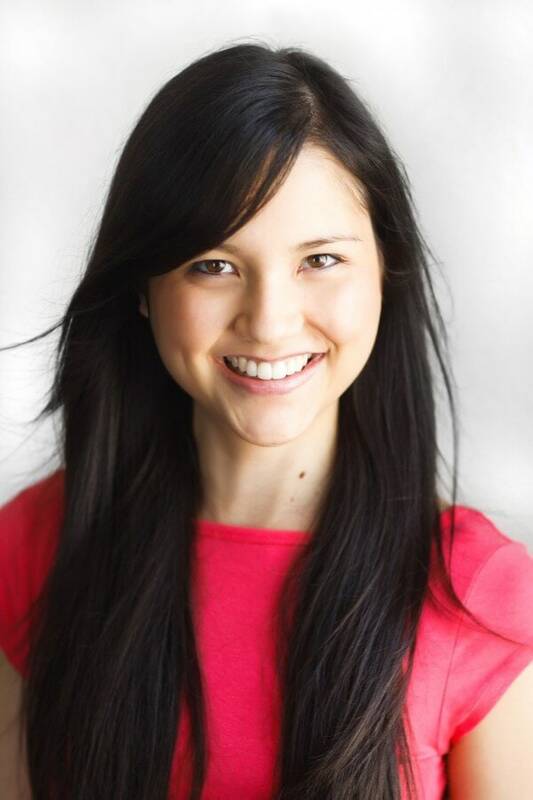 If that visual isn’t enough to convince you, I don’t know what is! If you’re curious about the vegetable oil that’s melted into the chocolate, it not only produces a smoother, steady stream when your pouring it into the ice cream, but it also softens the chocolate just slightly, preventing it from becoming rock-hard and brittle. 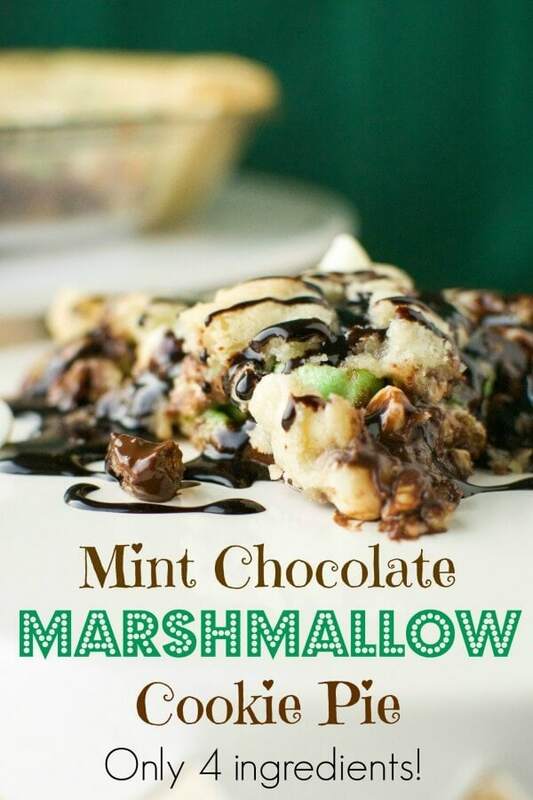 As far as “mintyness” goes, you might want to add more or less mint extract depending on your tastebuds. I added 1 teaspoon which was enough for me, but when my mom tried it, she said it wasn’t minty enough. One thing to consider is that once the ice cream is fully frozen, the flavors mellow out a bit, which means it’ll taste less minty. So keep that in mind if you’re yearning for more of that “just brushed clean feeling”. BONUS: Once you’re finished with a bowl (or the entire dish) of this, your breath will smell unbelievably minty fresh! Obviously a win-win in my book. While ice cream may be a tempting treat, it is not a good idea to give it to your dog. Milk and milk based products can cause diarrhea and other digestive issues in dogs. Can Ice Cream be Refrozen? It is only safe to refreeze ice cream if it is only slightly melted, and still cold. 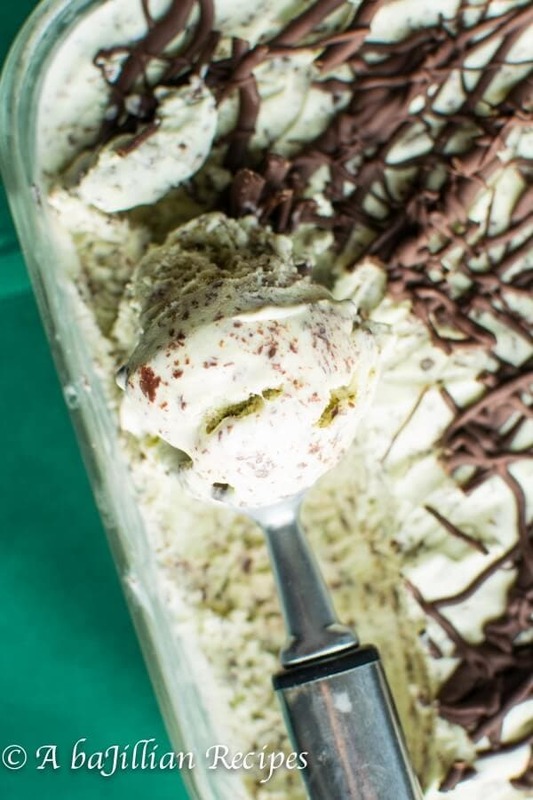 When ice cream melts, bacteria such as Listeria can grow. Bacteria can make you sick. Is Ice Cream a Carb? Milk and milk products are fairly high in carbs. Milk contains 12–13 grams of carbs per 8 ounces. 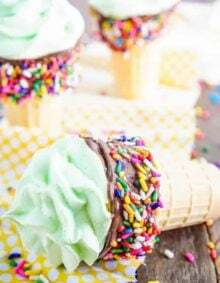 Ice cream contains about 16 grams of carbs per serving. In the bowl of a stand mixer, fitted with the whisk attachment, beat egg yolks, sugar, and salt on high speed until yolks lighten in color and thicken into a ribbon as you lift the whisk out of the bowl, about 2 minutes. In a medium saucepan combine heavy cream and milk. Heat over medium heat and bring to a simmer, about 5 minutes. With mixer on low, gradually pour 1 cup of warm liquid into egg mixture. Add egg mixture to saucepan. Stir and and continue to cook over medium heat until mixture begins to bubble slightly and is thick enough to coat the back of a wooden spoon. Immediately pour custard mixture through a fine mesh sieve over a bowl or large glass measuring cup. Cover and chill the mixture thoroughly in the refrigerator. Once the custard mixture is chilled, freeze in an ice cream maker, following the manufacturer’s instructions. 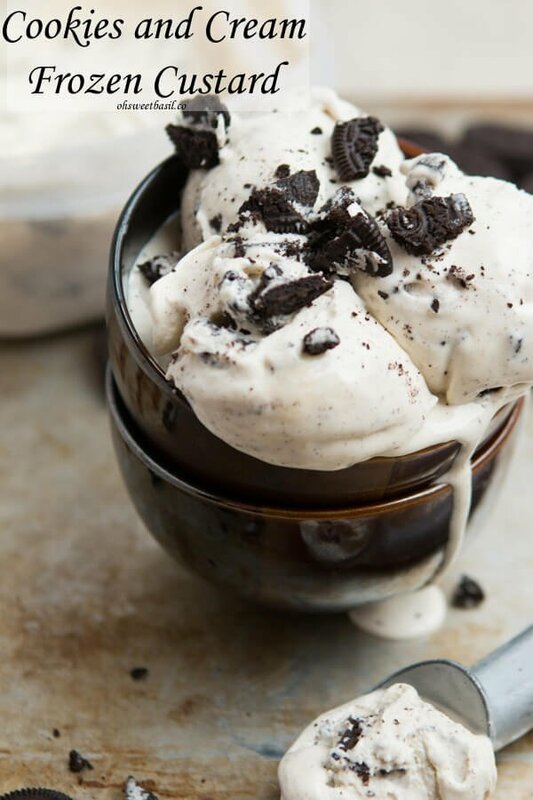 While ice cream is churning, melt chocolate and oil together in the microwave, stirring every 30 seconds until completely smooth. Transfer melted chocolate to a zip-top bag and seal well, pressing out as much air as possible. If necessary, place bag in a bowl of warm water to keep warm while the ice cream finishes churning. 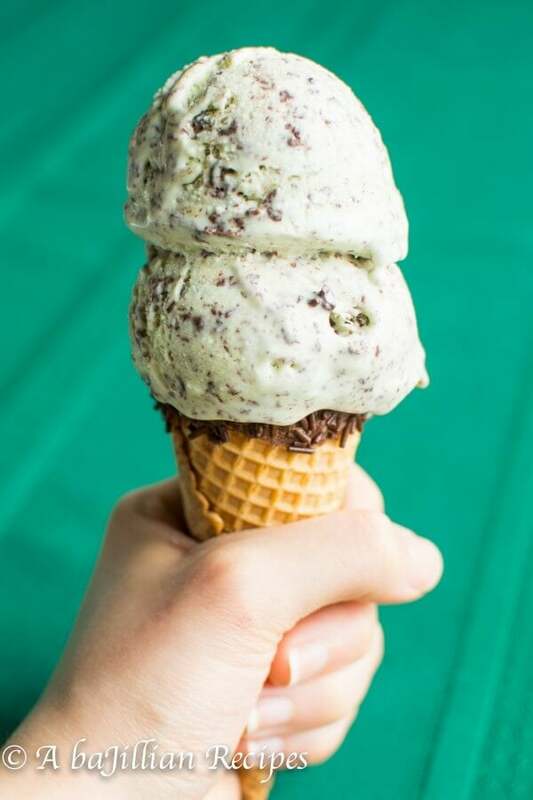 Once ice cream reaches soft-serve consistency, about 1-2 minutes before being completely done, snip the very tip off the corner of the bag of chocolate. 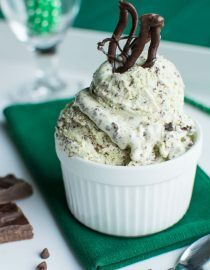 Slowly drizzle most of the chocolate into the ice cream bowl as it churns, allowing the chocolate to swirl throughout. 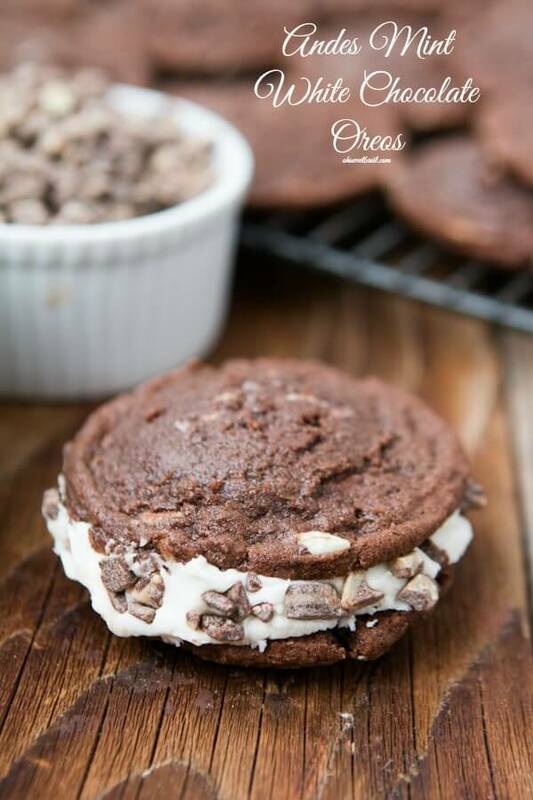 Transfer ice cream to a freezer-safe container and drizzle the remaining chocolate on top. Freeze 2 to 3 hours or overnight until firm. 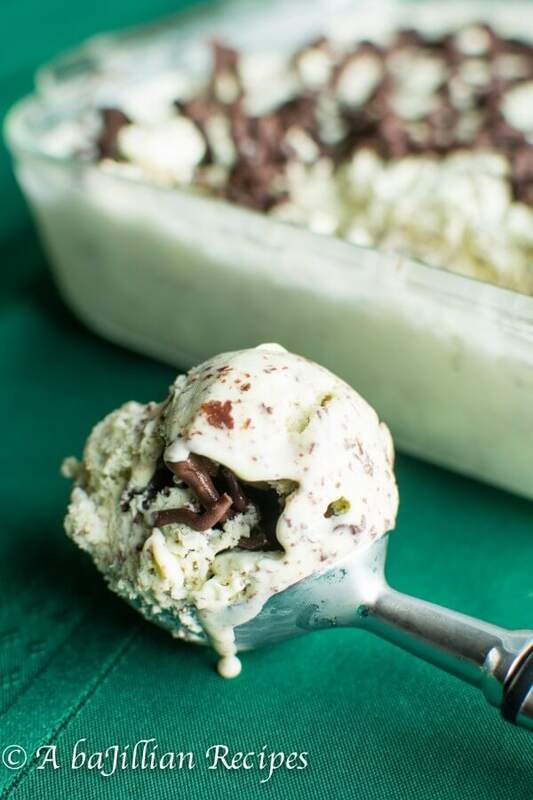 mmmm such gorgeous stracciatella! 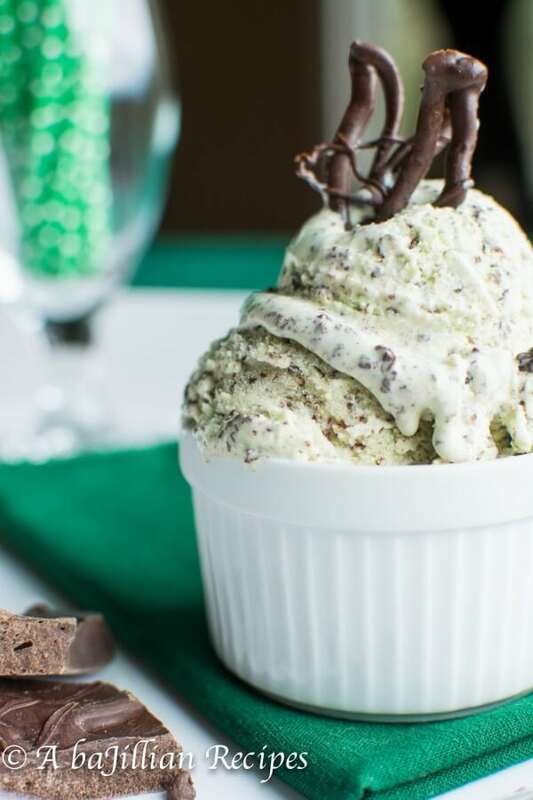 My hubby loves mint + choc and I know this ice cream would be a hit! Thanks Kayle! My mom’s husband is also a mint chocolate fan (is it a guy thing?) and he went crazy for this!